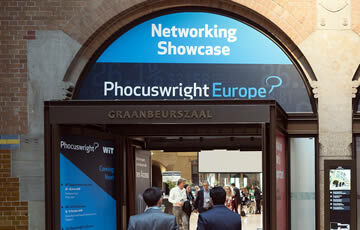 The entire layout of Phocuswright Europe is based on the idea of bringing people together. Our goals are to elevate networking, improve business meetings, and increase your return on investment. 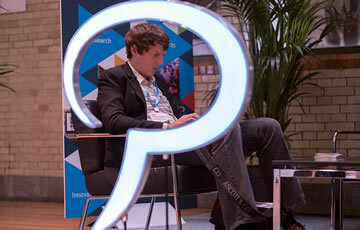 Our sponsors play a pivotal role in developing the Phocuswright community across all sectors of travel. Sponsorship opportunities are custom designed to help you develop vital relationships, quality leads, and increased brand awareness. 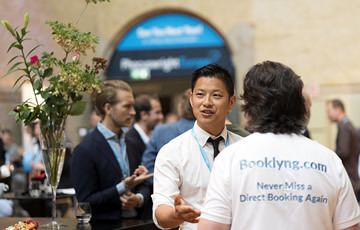 Provide your organization with a unique opportunity to meet, network, negotiate and conduct business with key decision makers in the travel industry. Position yourself as an industry leader and seize the opportunities to impress the world's leading minds in travel and hospitality. Learn about the opportunities to get in front of the most important audience in travel. Our team is dedicated to helping you create the perfect opportunity to suit your company goals. Our customized options, personalized touch and white-glove service are unparalleled.